A truly unique photo booth experience in a 1972 VW Kombi. A year and a half in the making, Aisle Hire It has done it again. The Insta Bus is a truly unique photo booth experience in a lovingly restored 1972 VW Kombi. The Insta Bus is guaranteed to be a hit at your next event no matter the occasion. Designed from the ground up to add style, entertain and most importantly create beautiful memories. The Insta Bus may be 40+ years old but it is packed with the latest in photo booth technology and custom-made studio lighting ensuring each photo that is taken comes out perfectly. Marquee Letters in different fonts and size for hire. Spell out any Name, word or Phrase in our large light-up Marquee Letters. Our Illuminated marquee letters add style to any event, whether you're looking for retro styling or just something quirky. Put them on the lawn or in a forest, hang them in a tree or on the wall, as a back drop for a photo booth or creative shoot, where ever they are they will add some serious style. Our Illuminated marquee letters add style to any event, whether you're looking for retro styling or just something quirky. Put them on the lawn or in a forest, hang them in a tree or on the wall, as a back drop for a photo booth or creative shoot, where ever they are they will add some serious style. Our marquee letters are unique and hand crafted by us with high quality materials. We have the entire alphabet 3 fold and some special characters like an ampersand (&) and even a hashtag (#). If you can think of a word, phrase, name or place we can illuminate it in giant 1 meter high marquee letters. The LOVE letters come in a set of either 400mm height or 1200mm in height. The initials and ampersand are 1 metre high and are dimmable from 1 watt to 800 watts! these are designed to stand out from a mile away! 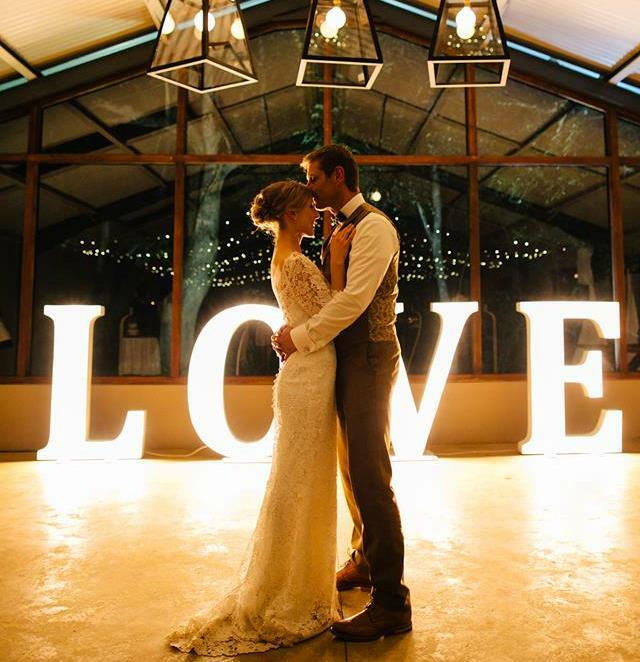 The MR & MRS Marquee letters are 400mm high and are dimmable. Our marquee letters are retro but our photo booth is decades ahead! Our Insta Booth looks and operates like a photo booth should in the 21st century. We designed and hand built the Insta Booth so it's truly one-of-a-kind. Its an "Open Air" design with no enclosure so there is no limit to the amount of people in one shot but specially designed lighting still ensures well exposed photos. The Insta Booth uses high end photography equipment for a perfect high quality photo every time. The Insta Booth not only makes you and your guests look great but keeps them intertained for hours while making lasting memories. The Insta Booth can be connected to the internet anywhere and also broadcast an open wifi network for guests to use for social media and hashtag printing. Your event did not happen if its not on Facebook right? More about hashtag printing here. Something new, modern and unique but with retro styling. Our booth resembles an instant printing polaroid camera at 10x the size. It naturally attracts attention. Never miss a moment at your event! Our photo booth scans Instagram for photos with your unique Hashtag and prints them! everyone's cellphone is a lens to our photo booth! Its like a photo booth in everyone's pocket! Dye sub printer for the best quality prints that are instantly dry, waterproof and will last over 100 years. Print layouts are customizable and custom art work can be added. Prints are unlimited ensuring endless fun. Are you looking for some greenery to hire for your wedding day? Are you looking for a green and eco - friendly alternative to fresh flowers? We offer the hire of hanging plants known as "Kokedama" or potted plants to add a special twist to your wedding decor. If this is what you have been searching for, get in touch today. Roses, greenery or Spanish moss. When else can you wear flowers in your hair and get away with it? Is your style "Romantic", "Whimsical" or maybe a even a bit "Wild child"? What ever is it, get in touch and we can design and make a bespoke flower crown to perfectly finish off your dream day. A new trend that is stylish, eco-friendly and unique. We hire out or sell Kokedama, made up of the plant of your choice to coordinate perfectly with the rest of your decor. It is all natural and hand made and makes a great talking point or a fantastic gift for those special guests. Are you looking for something to make you stand out or do you love the idea of wearing your favorite flowers close to your heart? We make bespoke living neck pieces, bracelets, rings or even hair combs. Make your outfit come alive - literally - by accenting it with living jewelry.